New fabrics and textiles are always hitting the market. Some vanish as quickly as they came, while others are common household items. Sheets, shirts and shorts made of various material ranging from cotton, polyester and infamous microfiber are easy to find. But when it comes to soft, comfortable and new fabrics, bamboo seems to be the most recent craze. Bamboo is becoming more and more common, with products ranging from singlets, dresses and socks, right down to pillowcases, sheet, and even, dishcloths. But why? 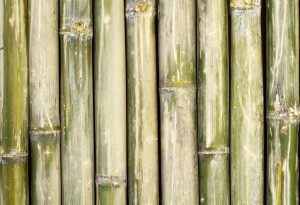 Why should a fabric like bamboo be used? Why not stick with cotton, or polyester? And isn’t bamboo fabric rough and prickly? These are some questions that come to mind when thinking about bamboo, and in this blog I hope to answer some of these questions. Not just background on bamboo but background on cotton as well. We use cotton, and not just a little cotton… A LOT of cotton, in 2012/2013 24.69 MILLION tonnes of cotton was carefully spun, washed, dyed and made into clothing for all of us to wear . To give you some prospective, an average shipping container, the ones you see on docks being lifted by cranes, weigh 2400 KG (5290 pounds) empty. Now imagine 10 000 of them stacked on top of one another, and there is your 24.69 million tonnes of cotton. It’s a lot of cotton, it costs time, money and effort to produce. The top 3 countries currently producing cotton are China the USA and India respectfully . However that’s not all, as it also costs the environment. Cotton is a hard plant to grow. Cottons characteristics require it to have wet feet and a dry top. For this reason irrigation is a must, and while irrigation technology has come a long way, cotton still requires large amounts of water. In the US cotton fields require 516mm of water, in China 718mm and in India a whopping 810mm per yield . The differing amounts of water consumption can be attributed to the climate conditions relevant to that country and are based on evaporation rates and average rainfall. All in all total water consumption relating to production of cotton remains extremely high. It is worthy to note however, that some cotton available is rain fed only. In fact 99% of cotton available from West Africa is rain fed only, unfortunately West Africa only produces 5% of the world’s cotton . What’s more, cotton consumption and consequently water consumption are set to increase in the years ahead. Predicted to reach consumption levels of 31.0 million tonnes by 2023 the agricultural land, water and production costs required, I fear, are unsustainable . The world population is set to increase, and with it, the demand for consumer goods. Something needs to change, we need a more sustainable solution that not only keeps up with demand, but also delivers quality and comfort. Cue bamboo. Now the next paragraph or so is going to sound like I am talking bamboo up… that’s because I am. When compared to cotton, bamboo beats it in almost every aspect, except its current availability. Which of course, can be changed, if not for the sake of the environment than at least for the sake of more comfortable clothing. some species host the amazing ability to grow a meter per day and yield 50 times more than cotton per acre (20 times as much per hectare) . Moreover, bamboo requires far less water than cotton, with roughly 1 450 species found globally, bamboo is adaptive to many different claimants and conditions, and often requires little more than natural rainfall . Very little searching is needed to find reasons why bamboo outperforms cotton, what’s harder to find is bamboo textiles. However, this could change very soon, currently the global market for bamboo is estimated to be worth $9AUD ($7US) billion per year with this figure expected to rise to around $22AUD ($17 US) billion by 2017 . Which is substantial when compared to cotton who’s current global worth is approximately $12AUD ($9US) billion dollars . However what must be taken into consideration when comparing these prices is price per kilo. Currently cotton sits anywhere from half to 10 times cheaper than bamboo . Therefore, while the bamboo market may be worth almost as much as the cotton market there is far less bamboo currently in circulation. That bamboo is much better for the environment than cotton but what about the texture of bamboo, especially in clothing. 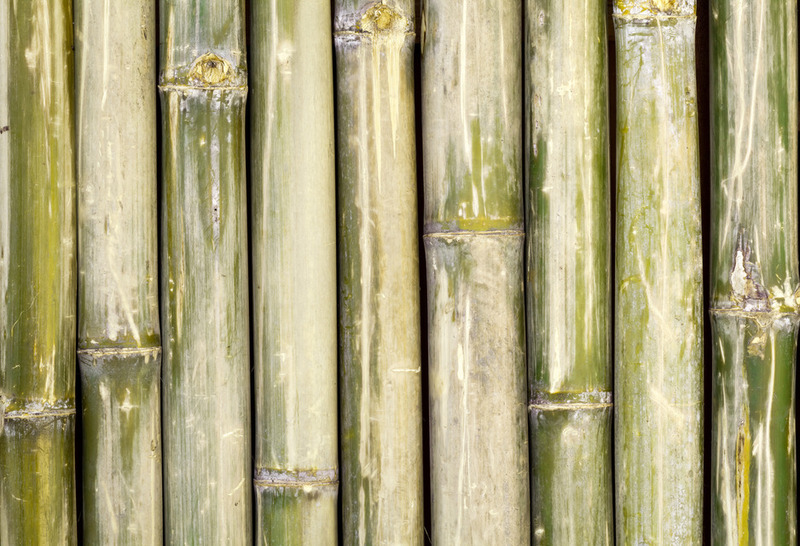 There seems to be a misconception that bamboo is rough or prickly, much like hemp, or at worse a burlap sack. Anecdotally I can tell you that this couldn’t be further from the truth, in fact bamboo fabric is some of the softest fabric I have ever felt, but I’m not the only one who thinks so. Polyesters, flooding the market but at what cost. But what about other materials used to make clothing, I mean, bamboo is not the only alternative to cotton. There are materials such as polyester, acrylic, nylon, elastin and other largely manufactured chemicals used in the textile industry. But what are these chemicals exactly? Let’s start with polyester, and bear with me, as it gets a little complex. 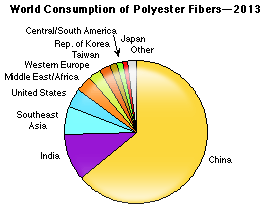 Firstly, polyester yarn, the fabric used to make clothing is in large part recycled. In fact, in 2011 it was estimated that, worldwide 3.4 million tons of recycled polyethylene terephthalate (PET) was used in the production of fibre . PET comes from such items as plastic bottles, which are then remanufactured into a fine silk. This 4 minute video sums it up extremely well actually, and is defiantly worth the watch https://www.youtube.com/watch?v=R8c4c5qQ5Bw. However, the production of new PET isn’t such a lovely story. To properly understand what PET is however we need to brake a few words down. First I’d like to start with polymer (because PET is a polymer) the word broken down is poly (meaning many or much) and mer (meaning parts) . So essentially a polymer, like PET, is a molecule containing many parts. Furthermore PET is made up of the parts (1) ethylene glyxol and (2) terephthalic acid . Now I’d like to have a look at the background of these two compounds. Ethylene glycol is produced from ethylene. Ethylene is a colourless flammable gas and is also a hydrocarbon, meaning it consists purely of hydrogen and carbon. And the richest source of hydrocarbons found on earth occur in crude oil . Therefore, it stands to reason that in order to obtain ethylene oil must first be found, and exploited. In fact in 2011, 141 million tons of ethylene was produced and by 2013 117 companies located in 32 different countries where producing ethylene in order to try to meet global demand . Needless to say, that means the extraction of literally tons of crude oil. The second part terephthalic acid is, yup, you guessed it, hydrocarbon. Well almost, it’s actually a by-product from hydrocarbon p-Xylene . However, p-Xylene falls under the category of aromatic hydrocarbon. Aromatic hydrocarbons are found in the same place as normal hydrocarbons, but have a sweet or pleasant smell to them, hence the name . It might be worth stopping here for a second and just recapping on everything. So we have two compounds, Ethylene glycol, derived from ethylene, and terephthalic acid, derived from p-Xylene. Both are hydrocarbons meaning they come from crude oil, and when both are combined they create the polymer we are interested in, PET. So, now that we have PET, either produced from scratch or recycled, it can be manufactured into clothing. However, there are some consideration to be made here. Firstly, and unfortunately this is what most businesses are concerned with, is cost. Polyester is cheap… like cheap cheap. It’s currently the cheapest fabric to manufacture worldwide and consequently has a market share of a whopping 72% . And not only that, but leading up to the late 2000’s the world market for polyester had enjoyed a fruitful 6% average annual growth . This was until the global financial crisis in 2008-2009, which slowed growth. This however is expected to pick up again very soon . This speaks louder than anything else to businesses, even louder than customer comfort. And unfortunately for those of us that suffer conditions such as eczema, dermatitis or other irritating skin conditions polyester, while widely available, can be extremely uncomfortable. In fact polyester was found, among other synthetic fibres, to be a main culprit in causing a flare up of these sorts of conditions . Whereas fabrics such as cotton, and undoubtable bamboo were found to be those that were most comfortable for people suffering skin irritating condition . Well it leaves us with a choice really… On the one hand we have fabrics such as polyester, elastine, and acrylic. While cheap, they are extremely detrimental to the environment, and can cause discomfort for certain people. Not only that (and this is just personal opinion) but they are just… well… kind of crappy. Then we have fabrics like cotton. These fabrics do not cause discomfort, however, and it’s a big HOWEVER, they use A LOT of water, agricultural land and are just all round not very environmentally friendly. Then, last but certainly not least, bamboo. Bamboo is soft, comfortable, environmentally friendly and takes hardly any room to grow. Moreover, it’s a grass! It can grow extremely quick, which means high yield per acre and fast recovery rate. As you can see, china is not only a major manufacturer, but also huge consumer of synthetic material. Bamboo grows ripe in countries like china and could be an amazing economic and environmental opportunity for the world to seize. So if I can get just one message across from the entirety of this blog it would be this. There are many fabrics out there both cheap and expensive, but all come at a cost. A cost to your wallet, the environment and the world. Before you make your next purchase just ask yourself. What is the real cost of what I’m buying ? This entry was posted in About Bamboo. Bookmark the permalink. Sign up to receive our latest news and great offers!